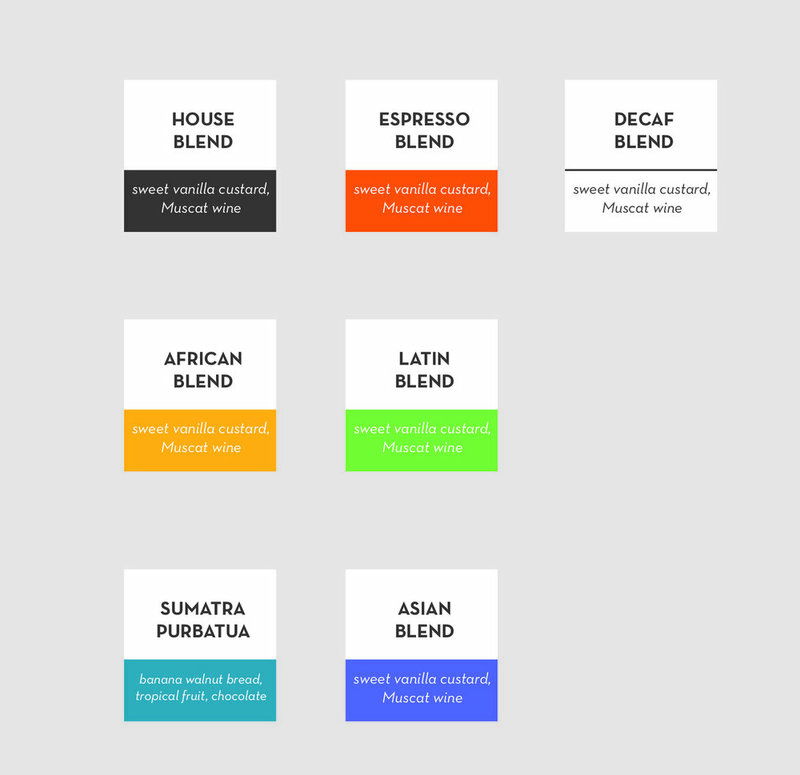 Creating an identity to usher in the "new order" of the coffee industry. New Order's team is comprised of industry experts, ready to change the craft coffee industry and move beyond the "third wave"; no dark woods, no snobby baristas, no waiting fifteen minutes for a pour over. Their team seeks to use their expertise to deliver the best product using the most advanced technologies, while not losing sight of their values: "Founded with a gleeful defiance to the status quo, New Order has a singular, dogmatic aim: to delight and energize your everyday life." 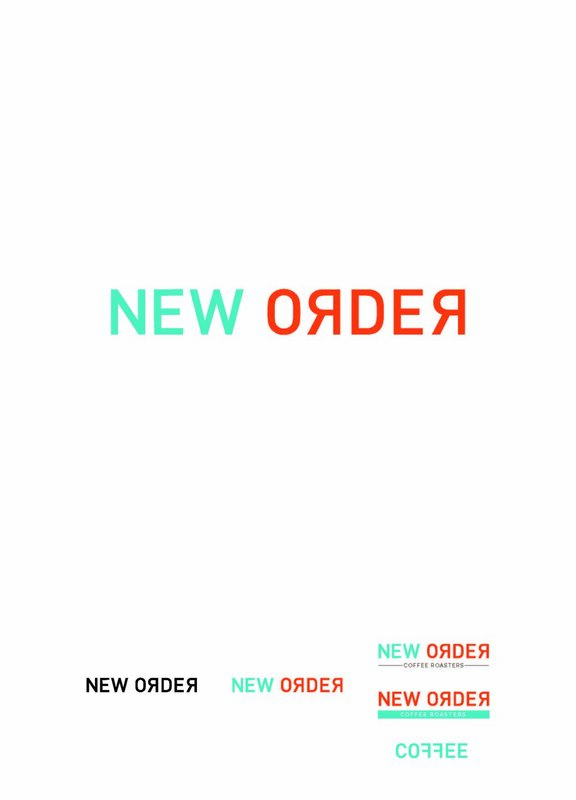 At the beginning of the project, New Order's team revealed they previously worked with another brand team, but wanted to start from scratch. They wanted an identity that "pushed the envelope" and did not look similar to any of their competitors. The initial plan for the coffee shop was in a historic building in Detroit. Although the location eventually changed, the historic geometric, art deco interiors played a role in visual development. Working closely with a Detroit-based architecture team, Et Al Collaborative, the brand identity needed to be bold to contrast with the planned natural woods, light counter tops, and natural light-filled space for the new location. The new location would be in the historic Brush Park neighborhood in Detroit, an area still in economic recovery and with little foot traffic. The location held promise as the new Detroit light rail system, the Qline, would have a stop outside the door, the new sporting arena and residential properties were in development within blocks, and two universities were within walking distance. However, New Order would be one of the first commercial spaces and sought to be an anchor for the neighborhood community. The brand had to come across as welcoming and inclusive for a variety of demographics, but also wanted to be unlike any other coffee shop in the city, as their brand would influence the perception of Brush Park through these oncoming changes. Some of the initial ideas used flipped letter forms or unexpected compositions to disrupt legibility slightly, in order to reflect the rebellious and humorous tone of the brand. Through discussion, it was agreed upon an icon was necessary and a geometric, simplified, abstract coffee mug was introduced to echo the geometric shelving units planned within the interiors. A trademark exercise with a lawyer almost prevented the mark from retaining this exact shape, but through thorough legal research, the icon was allowed to enter the public sphere. A playful geometric dot pattern, timeless yet playful and reminiscent of confetti, was also developed to create more texture and personality throughout the interior environment and on packaging. A design system for beans and packaging was also important, especially in regards to sourcing. A color system was applied to represent different regions throughout the globe, and was extremely budget friendly. 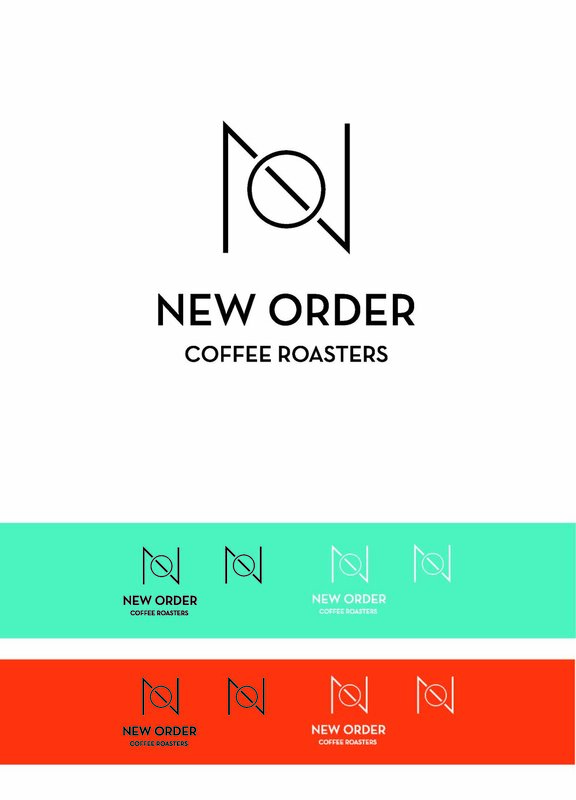 This would allow New Order to use the same coffee bag design but apply different stickers, which accommodates their small run in-house roasted beans. 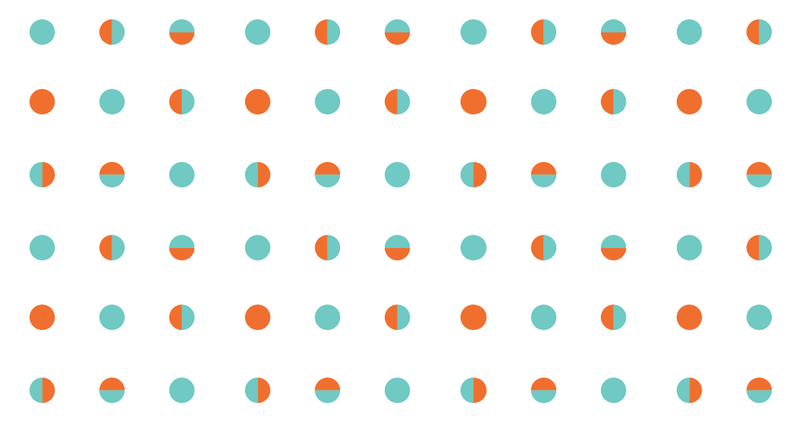 This color system would also correspond with in-store menus as well. In 2019, New Order Coffee Roasters partnered with Ford to include a coffee kiosk in their Dearborn Headquarters, and their second brick and mortar location in Royal Oak will open later in the year. Unsold Studio continues to work as the brand team for these locations. 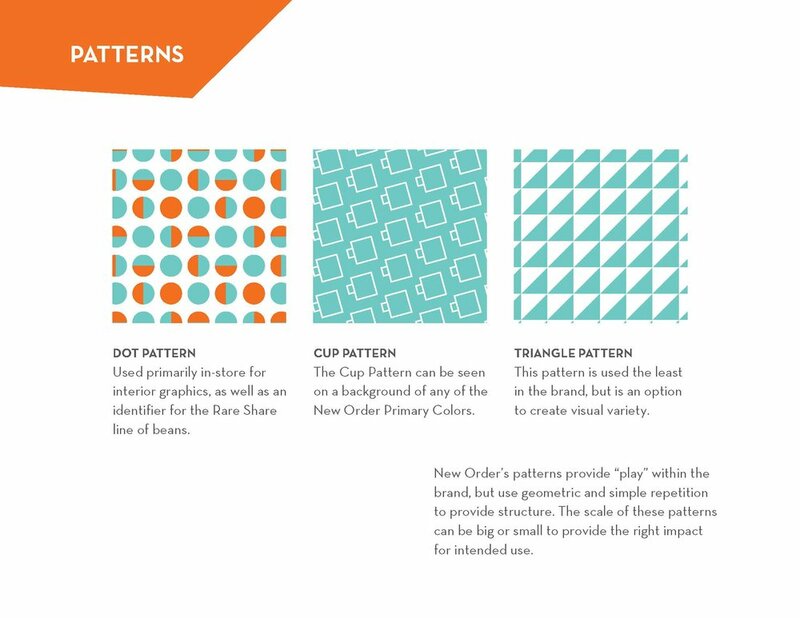 In 2018, New Order Coffee Roasters was a nominee for the Specialty Coffee Roasters Association DESIGN LAB Packaging Award, which "identifies some of the most compelling coffee packaging designs from the past year," and "seeks to highlight the best in our industry." 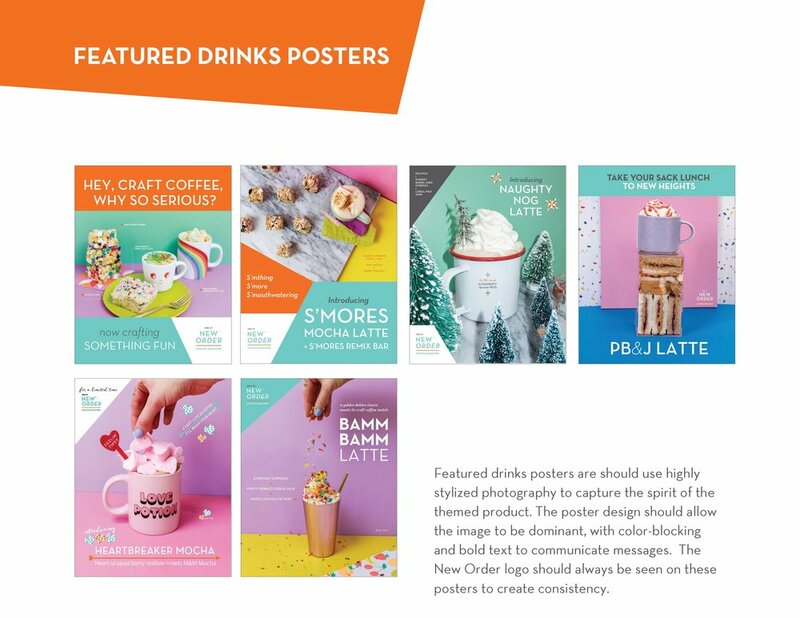 In 2018, Unsold Studio's work with New Order Coffee Roasters was invited to be the branding case study for Design Core Detroit's publication, Design Guide: Neighborhood Business: A Practical Resource for Understanding and Working with Designers to Bring Your Brick and Mortar Business to Life. We're extremely proud to be included, as this resource is completely free to Detroit business owners and is helping make design more inclusive. Unsold Studio and project architects Et Al Collaborative won a 2018 Commerce Design: Detroit award, "a new competition introduced in April as one of the many projects included in the UNESCO City of Design Action Plan. The competition is based on a model introduced in 1995 in Montreal---one of Detroit's sister cities in the UNESCO network---and is now licensed in more than a dozen cities around the world. Design Core Detroit has partnered with AIA Detroit, a Chapter of the American Institute of Architects, to manage the competition, with support from Presenting Sponsor Bank of America. " The competition is "aimed at raising awareness of, and access to, professional design services for neighborhood small businesses, and celebrating the impact of commercial design projects on the communities in which these businesses reside. The competition will recognize projects, submitted jointly by the business owner and design team, that have been completed within the City of Detroit (including Highland Park and Hamtramck) within the last 5 years." The Dieline "The Colorful Look of This Coffee Brand Helps It Stand Out From Others"
The Dieline "City by City: 10 Detroit-Based Brands"
Sprudge "Build-Outs of Summer: New Order Coffee in Detroit, MI"
Index Design "Le concours Commerce Design pourrait bientôt voir le jour à Détroit"